DITA EYEWEAR is thrilled to announce an exciting new collaboration with the ever-dazzling Queen of Burlesque, DITA VON TEESE, as they bring a fresh twist to iconic eyewear. The bridgeless cat-eye frame, rendered in lightweight titanium and appointed with contemporary details, represents the convergence of two creative talents at the peak of their influence. High-end craftsmanship and technology from DITA EYEWEAR’s creative studio provided the tools to achieve a distinctive new shape for the landmark partnership. A slender expanse of titanium spans the brow in a single, sinuous line, stripping away extraneous elements for the illusion of a floating lens. Sculptural details, from the hinge mount to harlequin-point titanium temples, were inspired by selections from Von Teese’s vast collection of vintage couture and curiosities. Von Teese herself will also appear in the season’s advertising campaign, “SEEING DOUBLE,” which shadows a mysterious encounter with a doppelgänger in a sultry noir atmosphere. DITA EYEWEAR FOR DITA VON TEESE arrives November 1st, 2018 and will be available at DITA.COM, DITA flagships, Barneys, Bergdorf Goodman, Saks Fifth Avenue and other fine eyewear boutiques. This entry was posted in Design and tagged 360, 360 Magazine, artist, burlesque, collabration, couture, craftsmanship, creative studio, creativity, design, distinctive, DITA, Dita Collaboration, Dita Eyewear, dita von teese, DITA.com, Elements, eye fashion, eyewear, fashion, iconic eyewear, illusion, influence, modern twist, Queen of Burlesque, Reid Urban, Seeing Double, shape, slender, slick, technology, titanium frames, transcend, Vaughn Lowery, vintage on November 10, 2018 by wp360mag. 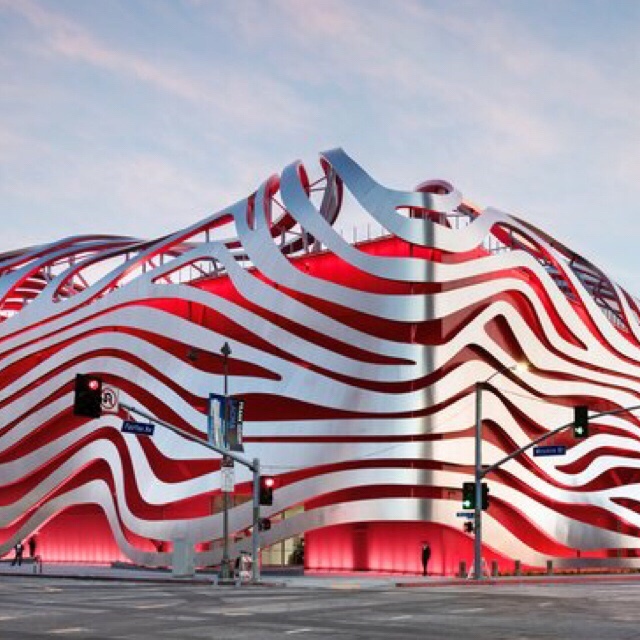 Los Angeles – PRNewswire – LA Fashion Week (LAFW) will be hosting its 2019 Spring/Summer runway presentations October 6th – 10th at the Petersen Auto Museum; one of the world’s premier museums and historical landmarks in Los Angeles. In partnership with LA Weekly, over 20 award-winning designers & artists from around the world will take to the stage to showcase their latest work at LAFW. Praised for “raising awareness of cultural diversity and creativity in the United States, “the LA Fashion Week Team were recently recognized by the honorable Office of Michelle & Barak Obama. “LA is experiencing a cultural renaissance and being noticed the world around. We’re excited to be driving force behind its development into the premier hub fashion, art, design, and entertainment,” says Arthur Chipman; Executive Producer At LA Fashion Week. After kicking off a successful summer pre-show event with designers Escada and Porsche Design at the beautiful Petersen Auto Museum, many have flocked to join the latest season of shows on October 6-10th. With each installment, LAFW is building a stronger network of strategic brands and partnerships aimed at increasing the profile of West Coast Fashion. Like Cross Colours, the iconic 90’s hip-hop inspired brand founded by Carl Jones & TJ Walker who created the baggy jeans are making their official runway comeback. LA pioneer Bohemian Society, by Victor Wilde known for his theatrical shows. RSVisualThing by Radka Salcmanova known for her unhinged model presentations, and Vogue Magazines latest featured label Bomme Studio by designer Bo Matthews. Fabiana Milazzo, a high fashion designer from Brazil known for her beautiful gowns & adored by celebrities like Katie Holmes & Gisele Bundchen will be making her US Runway Debut this October. Also featured country Thailand, joins LAFW again with a cool streetwear contingent with ISSUE THAILAND, Q Design and Play, Iconic Official, & LaLaLove, + Rising Star in Thai inspired jewelry, SARRAN. This entry was posted in Uncategorized and tagged 2019 Runway Spring/Summer Presentations, 360, 360 Magazine, art, awareness, Beautiful Designs, Brands, cars, creativity, Cultural diversity, design, Edgy Shows, entertainment, fashion, la, LA Fashion Week, LAFW, Los Angeles, Pauline Huynh, Petersen Automotive Museum, Vaughn Lowery, Vogue Magazines on September 14, 2018 by wp360mag. Known for its bold campaigns, such as changing its name to Stockwomann in celebration of International Women’s Day, the department store is now launching a gender-neutral shopping floor – located physically between men’s and women’s, on the 1.5 floor. The floor features well-known brands such as Acne Studios, Calvin Klein and Marimekko, that have previously incorporated unisex styles in their collections. Fashionistas all over the world are exploring the possibilities of creating a bespoke style by combining items from renowned fashion houses, such as Burberry and Kenzo, and buying liberally from both departments. The name of the shopping floor concept, One Way, speaks for itself. There is only one way in style; your own. With One Way, Stockmann wants to question old-fashioned norms and limits when it comes to dressing. “Department stores, especially, tend to stick with outdated norms when it comes to how they allocate their offering under different departments. At the same time consumers are already buying quite liberally from both departments.”, says Laura Paikkari, Creative Director, TBWA\Helsinki. 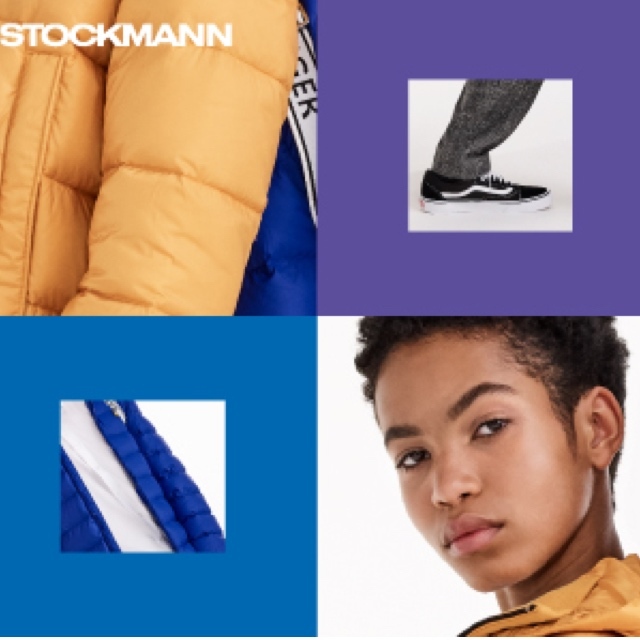 “We believe that men’s and women’s departments should function as guidelines to finding the clothes that best fit your shape and style rather than definite rules to follow”, says Anna Salmi, CCO at Stockmann. “With One Way we wanted to style and curate a selection of clothes that might not be designed ‘unisex’ but that work perfectly for all people. Our aim is to inspire our customers to forget the rules and shop unbiasedly,” Salmi adds. “This is definitely a statement for equality. And brands that take a stand for what they believe in are the ones who shape the future.” Paikkari finishes. As fashion month begins this week, it remains to be seen whether gender-neutrality will become the dominating trend this fall. This entry was posted in Uncategorized and tagged 360, 360 Magazine, art, Calvin Klein, clothing, creativity, culture, department store, design, equality, fashion, fashion month, Fashion Week, fashionista, Finland, gender-neutral, pop culture, Reid Urban, shopping, Stockholm, Stockwomann, travel, unisex, Vaughn Lowery on September 11, 2018 by wp360mag. 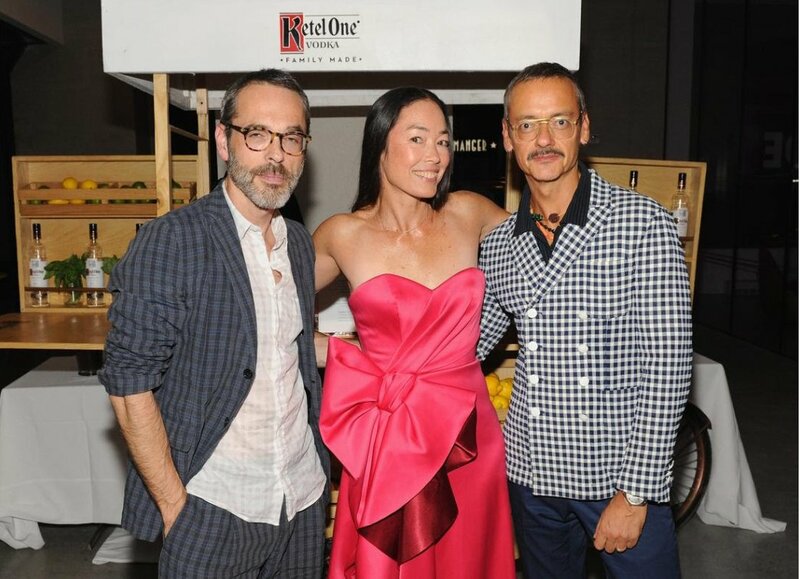 With New York Fashion Week in full swing, Ketel One Family-Made Vodka joined with ground-breaking creative, multi-media company Visionaire to celebrate fashion artists Viktor&Rolf’s 25 years of impact on the fashion world on Saturday, September 8 at The Gallery at Cadillac House. The Dutch spirit brand, which is family-made in Schiedam, Holland, helped to mark the opening of the interactive installation, Masterclass, which is dedicated to Viktor Horsting and Rolf Snoeren and showcases the provocative Haute Couture and avant-garde designs for which they are renowned. 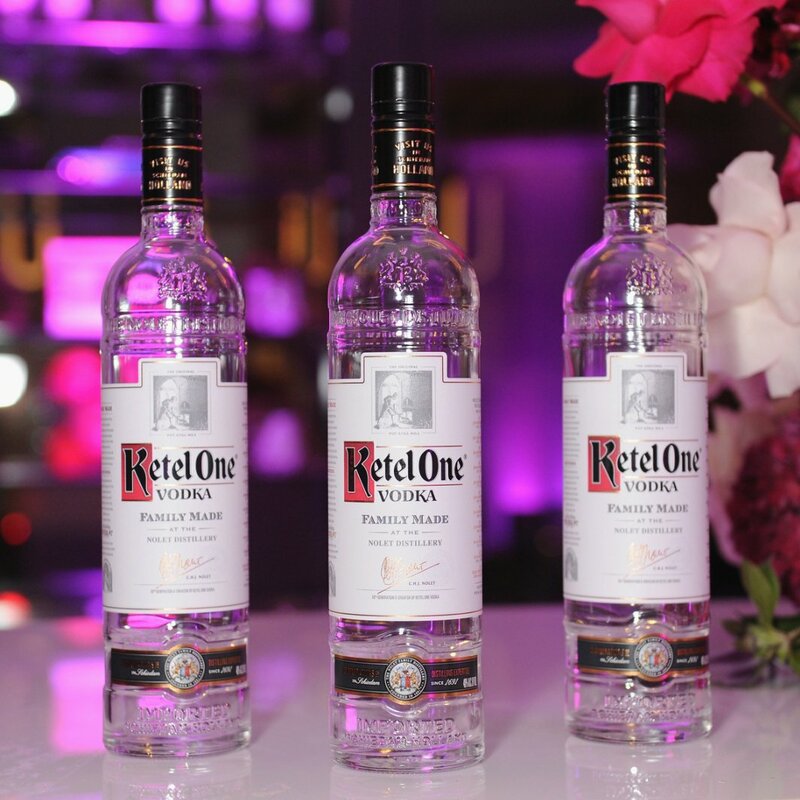 Joining Viktor Horsting and Rolf Snoer at the soiree were Visionaire cofounders Cecelia Dean and James Kaliardos, models Clara McGregor and Coco Rocha, and actor Michiel Huisman (“Game of Thrones”) who mixed, mingled and sipped on cocktails provided by Ketel One Family-Made Vodka, including the signature Masterclass (Ketel One Vodka, strawberry, cucumber and lime juice.) DJ Dese provided the evening’s beats as guests toured the exhibit at this SoHo space dedicated to innovation and inspiring creativity. This entry was posted in Spirits and tagged 360, 360 Magazine, Atrin Yazdani-Biuki, Cadillac House, Cecilia Dean, Clara McGregor, cocktails, Coco Rocha, Craig Barritt, creativity, cucumber, DJ Dese, exhibit, Fashion Artists, Game of Thrones, getty images, Innovation, installation, interactive, Interactive Installation, James Kaliardos, Ketel One, Ketel One Family-Made Vodka, Ketel One Vodka, lime juice, models, new york city, New York Fashion Week, photo, Rolf Snoeren, signature Masterclass, Soho, strawberry, Vaughn Lowery, Viktor Horsting, Viktor&Rolf, Visionaire, vodka, Vodka Fetes, Michiel Huisman on September 10, 2018 by wp360mag. The fall winter collection of the ABE by Ariane Chaumeil house, whose crafting remains done with the blowtorch glass, becomes richer with a new proposition: the metal paste making. Sculpted and cast, the metal paste is modelled, sanded, fired at high temperature, brushed and rubbed with a burnisher and polished several times in order to get pieces of golden and white bronze, and of pure copper, with a shiny, ancient rendering. A couture collection made in France, entirely handmade, intimately inspired by nature, showing the natural elements in all their forms. Ice, crystallization, rain, wind, dew and roots. Crystallized in these surroundings, the Human Being becomes Nature. The Nature is everlasting, nothing can stop it. It is the true beauty, perfection. For depicting this cycle of evolution, Armine Ohanyan uses the new technologies such as 3D printing or materials crafting, which play an important role in her creation process. Her art investigations never end, like the movement that she shows in its different forms and their ranges of colours and materials. Her creations are futuristic, modern, with a wide beauty touch. Designers Imelda and Eduardo aka Baroqco are citizens of the world . Their roots are from Dutch Chinese Indonesian and Portuguese descent, and this diversity is what provides foundation that leads to the inspiration and creation. BaroQco comes from Baroque, an era of change from simplicity to lively and exuberant detail. BaroQco stands alone with its unique grandeur and ability to surprise and to achieve a sense of awe. Imelda and Eduardo started to create jewelry as they were looking for a tiara or crown for their wedding day. At that time there were not a lot of options, so they decided to create their own tiara which lead others to ask whether they could also make necklaces and earrings. The materials are opal ,gold and Swarovski and all the metalwork are nickel free, the usage of non toxic and – hazardous for plating makes the jewelry more ecofriendly. This entry was posted in Uncategorized and tagged 360 Magazine, 3d printing, ABE, Ariane Chaumeil, Armine Ohanyan, art, artist, artists, artwork, BaroQco, Baroqco Jewelry, beautiful, beauty, berlin, Boston, California, Canada, Cape Town, Champs Elysees, Chicago, China, couture, creation, creative, creativity, culture magazine, Dallas, Denmark, Denver, design, designer, designers, detail, Detroit, diversity, Earrings, eco friendly, edgy fashion, edgy fashion magazine, Eduardo, exuberant, Facebook, Fall Winter collection, fashion, Fashion designer, fashion icon, Fashion Week, founder, France, futuristic, Global Society, gold, handmade, haute couture, High-Fashion, Imelda, Inspiration, INSTAGRAM, Italy, Jakarta, Japan, jewelry, Johanessburg, London, Los Angeles, Maison des Centraliens, Melbourne, Miami, Milan, Miroir, modern, movement, nature, necklaces, Netherlands, new orleans, new technologies, New York, opal, Paris, Paris Fashion Week, PFW2018, Philadelphia, Phoenix, photography, photooftheday, Portugal, rome, Salt Lake City, San Diego, San Francisco, Santa Monica, Seattle, shine, social media, Swarovski, Sweden, Sydney, Twitter, Vaughn Lowery, Washington D.C. on July 4, 2018 by wp360mag. This season, Chamilia, a Swarovski Company, announced the introduction of an expanded stud earring program with 14 new styles that complement motifs in several of the brand’s collections. The entire Chamilia line is made from sterling silver or 14 karat gold and features genuine Swarovski Crystals and Swarovski Zirconia. The brand follows strict Swarovski Group guidelines for quality and aesthetic standards. Chamilia Quatrefoil Stud Earrings—Bright Sterling Silver (MSRP $35 U.S.). Chamilia Paisley Stud Earrings—Sterling Silver (MSRP $35 U.S.). Chamilia Paisley Pavé Stud Earrings, White—Bright Sterling Silver and Swarovski Pure Brilliance Zirconia (MSRP $45 U.S.). Chamilia Arrow Stud Earrings—Bright Sterling Silver (MSRP $35 U.S.). Chamilia Crown Stud Earrings—Bright Sterling Silver (MSRP $35 U.S.). Chamilia Crown Hearts Stud Earrings—Bright Sterling Silver (MSRP $40 U.S.). Chamilia Cross Stud Earrings—Bright Sterling Silver (MSRP $35 U.S.). 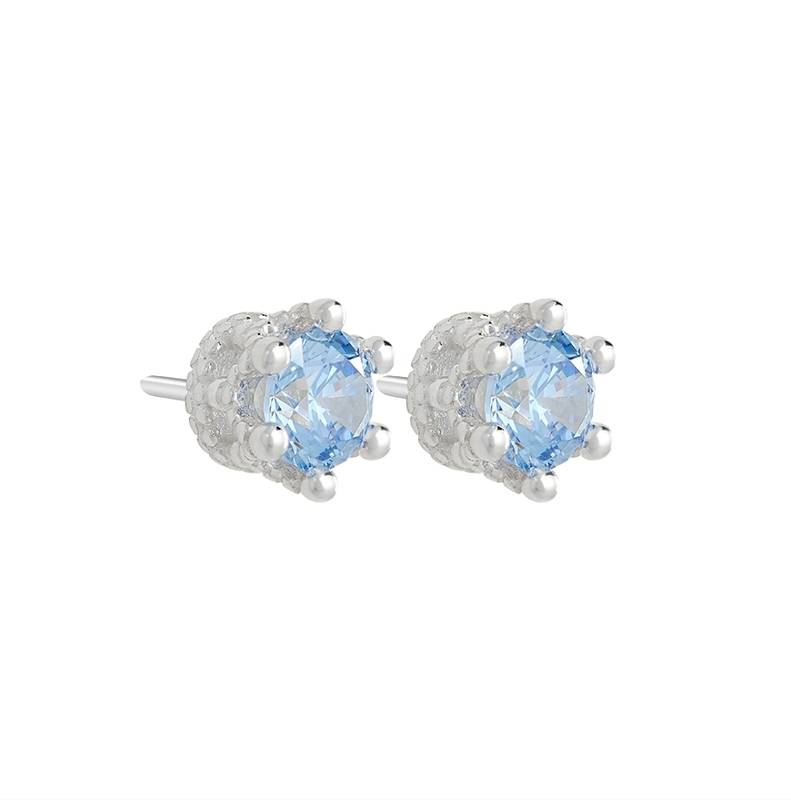 Chamilia Sparkling Shell Stud Earrings—Sterling Silver and Frosty Mint Swarovski Pure Brilliance Zirconia (MSRP $45 U.S.). Chamilia Floral Stud Earrings—Sterling Silver and Swarovski Pure Brilliance Zirconia (MSRP $40 U.S.). 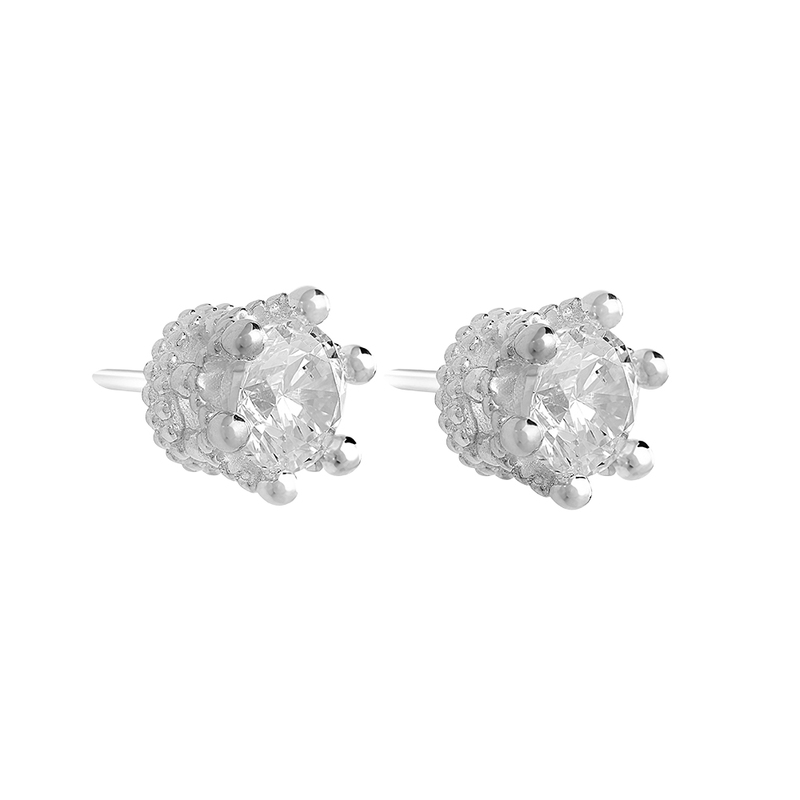 Chamilia Bow Stud Earrings—Sterling Silver and Swarovski Pure Brilliance Zirconia (MSRP $65 U.S.). Chamilia 5MM Tiara Stud Earrings—Sterling Silver and Fancy Purple, Fancy Blue or Swarovski Pure Brilliance Zirconia (MSRP $50 U.S.). Chamilia Paisley Pavé Stud Earrings, Rainbow—Sterling Silver and Multicolor Swarovski Pure Brilliance Zirconia (MSRP $60 U.S.). The new stud earrings from Chamilia will be available at retail on September 4, 2018, and will be sold at select Chamilia retail partners worldwide and on the Chamilia website. For more information about Chamilia, go to www.chamilia.com. Based in Cranston, RI, Chamilia is an American company that was established in 2002. Since its purchase in 2013, it has been a member of Swarovski, a world leader in quality and innovation. Each of the more than 400 exclusive charms and wide selection of fine jewelry available from the brand are made from .925 sterling silver or 14 karat gold and feature genuine Swarovski Crystals or Zirconia, or Italian Murano Glass. The brand follows strict Swarovski guidelines for quality and aesthetic excellence. For more information, please go to www.chamilia.com. This entry was posted in Uncategorized and tagged 14 karat gold, 360 Magazine, accessories, American, American company, Atrin Yazdani-Biuki, Austria, brand, Chamilia, charms, craftsmanship, Cranston, creativity, crystal, crystals, designs, film, gemstones, gold, Italian Murano Glass, jewelry, luxury, Multicolor Swarovski Pure Brilliance Zirconia, pop culture, products, quality, RI, Sterling Silver, Stud Earrings, Swarovski, Swarovski Crystal, Swarovski Crystal Business, Swarovski Crystals, Swarovski Entertainment, The Swarovski Foundation, Vaughn Lowery, Zirconia on June 21, 2018 by wp360mag. 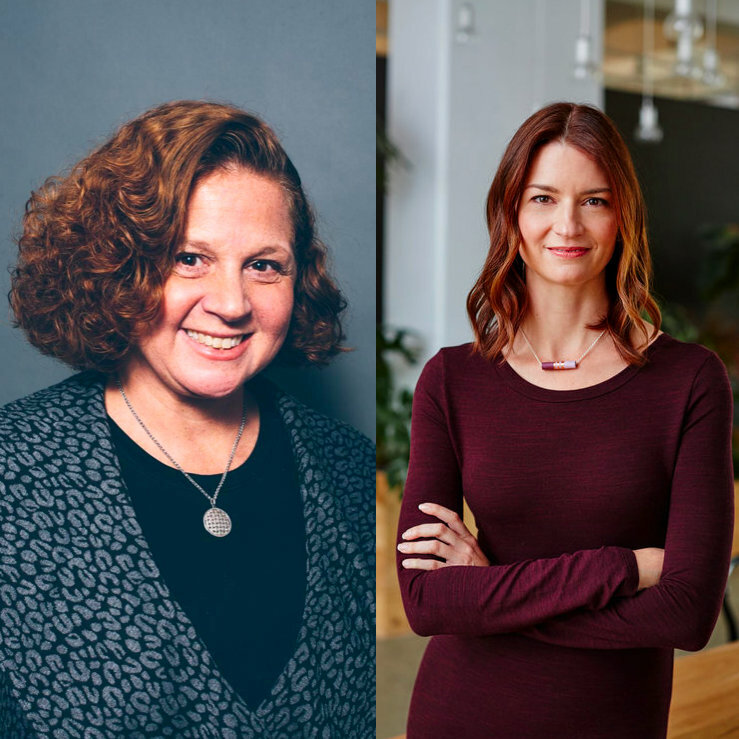 Dress for Success Worldwide announces the addition of two talented leaders to the Dress for Success Board of Directors- Chief Executive Officer of M Booth, Dale Bornstein, and Chief Operating Officer at Etsy, Linda Findley Kozlowski. These powerful women join an already impressive roster of board members, offering new perspectives and an array of skill sets derived from more than 25 years of experience in public relations and international marketing industries. Linda Findley Kozlowski, COO of Etsy, the global marketplace for unique and creative goods, also brings 25 years of experience in operations, strategy, marketing, business development, public relations and customer service. During her time at both public and private companies, she has proven her ability to scale organizations, expand into new markets, introduce products, manage change, improve processes, increase efficiency, and adapt within complex and rapidly changing environments. An accomplished technology, small business and consumer product executive, she has overseen growth initiatives in almost every region of the world including Europe, Asia, Latin America, Russia and India. Dress for Success is an international not-for-profit organization that empowers women to achieve economic independence by providing a network of support, professional attire and the development tools to help women thrive in work and in life. Since starting operations in 1997, Dress for Success has expanded to 160 cities in 30 countries. To date, Dress for Success has helped over 1,000,000 women work towards self-sufficiency. Visit www.dressforsuccess.org to learn more. This entry was posted in Uncategorized and tagged 360 Magazine, accomplish, art, asia, Austin, Australia, Austria, berlin, Boston, Business, business development, California, Canada, Cape Town, champion, Chicago, China, collaboration, creative, creativity, culture, culture magazine, Customer Service, Dale Bornstein, Dallas, Dress for Success, edgy fashion magazine, empowerment, encourage, Etsy, europe, event, expand, experience, Future, girls, Global Society, GRL PWR, Growth, help, independence, india, industry, Inspiration, international, Italy, Jakarta, Japan, Johanessburg, Ketchum, Latin America, leadership, lifestyle, Linda Findley Kozlowski, London, Los Angeles, M Booth, marketing, marketplace, massachusetts, Melbourne, Miami, Milan, Netherlands, New York, non-profit, nonprofit, operations, organization, Paris, passion, Pennsylvania, professional, PRWeek, PRWeek’s “Power List”, public relations, Public Relations Council, Russia, Salt Lake City, San Diego, San Francisco, Santa Monica, Seattle, self-sufficiency, SHEQUALITY, skills, Southern California, start up, strategy, Success, Support, Sweden, Sydney, talent, technology, Toronto, unique, United States, USA, Vancouver, Vaughn Lowery, Washington D.C., women, work, worldwide on May 3, 2018 by wp360mag. 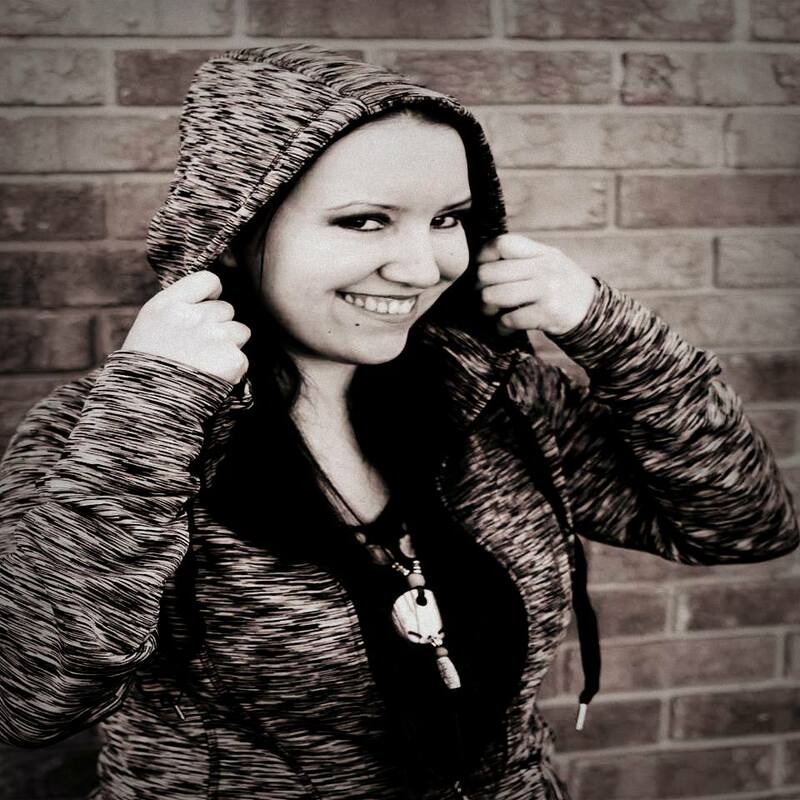 Hip-hop lyricist Michelle Cadreau has developed a writing and rapping style with both subtlety and introspection to reflect her Native Canadian Indian and Polish ancestry. With four CDs to her credit, the Hamilton, Ontario melds hypnotic and soulful beats with her trademark urban poetry to create a performance style that is equally juxtaposed and complementary. Given the native Indian name Blue Sky at birth by her grandmother (who was born on a reserve in northern Ontario), Cadreau has a tattoo on her back of blue zebra stripes in the shape of an eye with the inscription ‘Blue Sky.’ It is a physical reminder of her spiritual relationship to the earth and heavens and her family. With musical influences that include Biggie Smalls, Eminem, Dr. Dre, and Snoop Dogg, Cadreau proudly emulates their style. Her ideas often come from a word or phrase that sparks inspiration and builds from there. She also credits her parents for her love of music. Both played in bands most of their lives – her mother (a nurse by profession) is a vocalist and drummer and her father a vocalist and bass guitarist. Like her mother, Cadreau also plays drums, having begun lessons at age five. She is also an accomplished painter and jewelry designer and has a degree in interior design. Her connection to the visual arts has been a foundation for her lyrics, which paint pictures of the joy and pain of life. Among her releases is the breakout number, “Precipitation,” an articulate and explicit song that boldly details a rapper giving a slam performance for fans; “Like a Killer,” uses boxing to symbolize violence; and “Hip Hop Clerk” is a commentary on making it in the music industry. Also included is “Ineffable,” a look at fan adulation; “Give Me The Prize,” a nod to intelligence and the rewards it can provide; and “Tallest Mountain,” a heartfelt look at making your way up the hip hop ladder. Her strongest response by far from both fans and critics online has been for the song “Ghetto Survival,” which equates creating powerful rap music with persistence and success. Cadreau is using her lyrical deftness and distinct vantage point to create music that is true to her while paying homage to the complex backstory of rap and hip hop. This entry was posted in Uncategorized and tagged 360 Magazine, apple music, art, artist, Austin, Australia, Austria, beats, Biggie Smalls, Blue Sky, Boston, Canada, Canadian, Cape Town, Chicago, China, creative, creativity, culture magazine, Dallas, Deezer, Detroit, Dominate, Dr. Dre, edgy fashion magazine, Eminem, empowerment, entertainment, europe, Facebook, Germany, Ghetto Survival, Give Me The Prize, Global Society, Google play, Hamilton, hip hop, Hip Hop Clerk, Hiphop, idea, iheartradio, Ineffable, Inspiration, international, iTunes, Jakarta, Japan, Johanessburg, Kansas city, Like a Killer, London, Los Angeles, lyricist, lyrics, Melbourne, Miami, Michelle Cadreau, Milan, Minneapolis, Minnesota, Mississippi, Missouri, music, musician, Nashville, Netherlands, New Release, New Song, New York, newmusic, North america, ontario, pandora, Paris, performance, performer, Philadelphia, Poland, power, Precipitation, Premiere, rap, rapper, Salt Lake City, San Diego, San Francisco, Santa Monica, Seattle, slam, Snoop Dogg, social media, song, songs, songwriter, sound, soundcloud, spiritual, spotify, style, Success, Sweden, Sydney, Tallest Mountain, tattoo, Toronto, track, tunein, urban poetry, USA, Vancouver, Vaughn Lowery, vocalist, Washington D.C., worldwide, writing, zebra on April 17, 2018 by wp360mag. 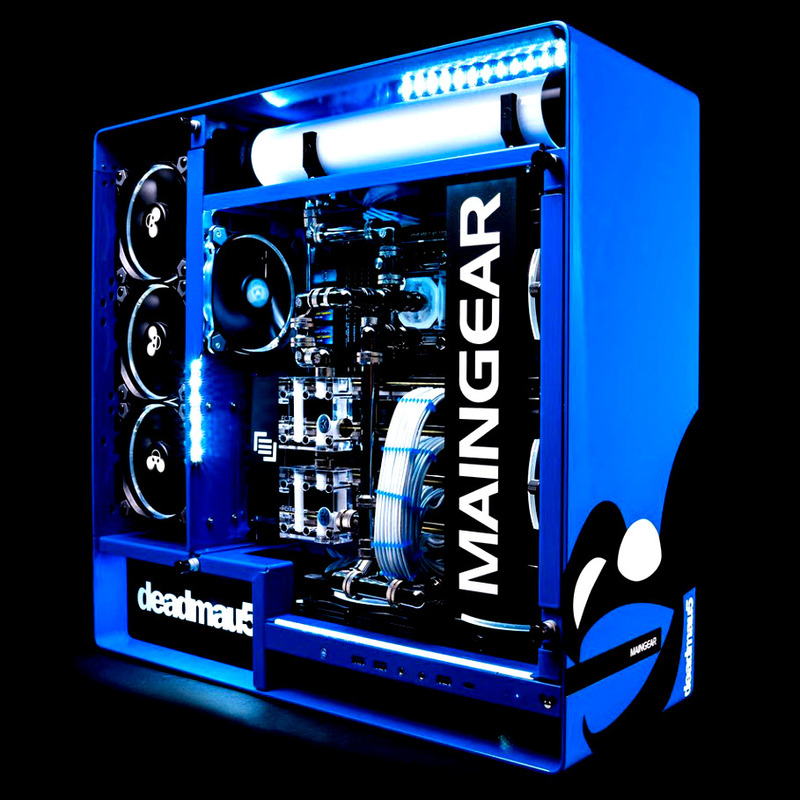 MAINGEAR PC, an award-winning PC system builder of custom gaming desktops and notebooks, announced that Joel Zimmerman, known professionally as deadmau5, has joined MAINGEAR as an advisor and investor, and that they have partnered with NetCapital to launch an equity offering open to the public. For more information on MAINGEAR’s equity crowdfunding campaign, click HERE. This entry was posted in Uncategorized and tagged 360 Magazine, advise, advisor, art, artist, Austin, Australia, Austria, award-winning, Boston, Business, California, Canada, Cape Town, Chicago, China, community, company, competition, composer, computer, creativity, crowdfunding, crowdfunding campaign, culture, culture magazine, customer, Dallas, data, deadmau5, design, Detroit, edgy fashion magazine, equity, esports, europe, event, experience, fans, Future, gamer, Games, gear, Germany, Global Society, Grammy award, Grammy nominated, industry, international, investment, Jakarta, Japan, Joel Zimmerman, Johanessburg, leadership, lifestyle, London, Los Angeles, MAINGEAR PC, market, marketing, Melbourne, Miami, Milan, music, musician, NetCapital, Netherlands, nevada, New Release, New York, notebook, opportunity, Paris, partnership, passion, PC system, performance, Poland, potential, Premiere, producer, products, professional, project, Rahul Sood, Salt Lake City, San Diego, San Francisco, Santa Monica, Seattle, Southern California, Sweden, Sydney, tech, technology, Unikrn, USA, Vaughn Lowery, Wallace Santos, Washington D.C., where's the drop?, worldwide on April 17, 2018 by wp360mag. We’re kiiping busy, and hope you have been too. 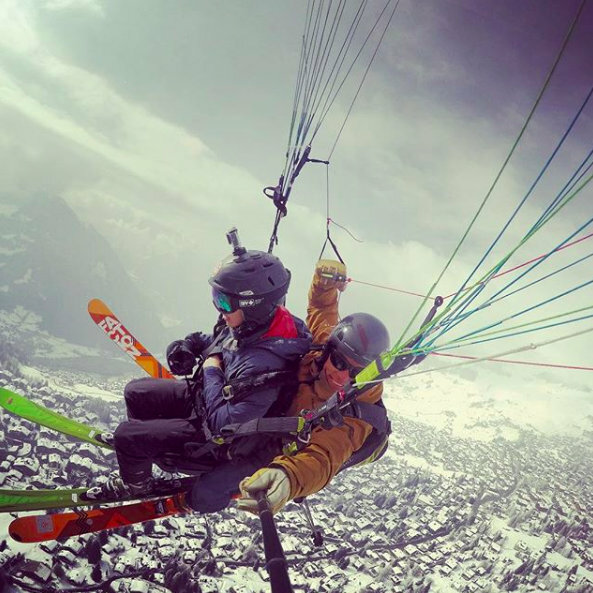 This year is already flying by and we’ve got so much to share! Kiip is dedicated to supporting and growing an equal and diverse workforce and we know that means having an open and honest conversation about how we can do better. Take a look at what our leaders here at Kiip have to say about progress in 2018. We’ve been hard at work. Since we launched our Moments Table, many brands have asked if they can use our data more broadly. We finally launched our audiences into (initially) LiveRamp Data Store and now I am happy to report that you can buy moments audiences decoupled with our media. On top of this, we rounded out our data suite with our Surveys product. Too often as marketers we are faced with limited 3rd party data options (largely cookie based or too probabilistic). We decided to use our mobile-first positioning and engagement unit in our ads to create a survey product where the marketer can simply ask the consumer (millions of them). With these survey responses we can create seed audiences activated on Kiip (or elsewhere as aforementioned) or simply qualify the success of your campaign. The possibilities are endless. To help further hammer home the point of why we went into the data business, we put together some helpful content. An interesting tidbit: the VP of Netflix started quite a stir in 2016 when he suggested that demographic data was a thing of the past, or rather headed to the trash. I believe that marketing is heading from a segment-based approach to a signal-based approach. Here’s a post from one of our brilliant strategist Lauren, on how best to ensure that your audience data is used effectively and sourced transparently. Okay so now you’ve read all about how to avoid the pitfalls (in the post linked above), are you ready to talk strategy and leave generic data in the past? Schedule a complimentary session today and learn more about how our audience targeting stands out from the crowd. Every month we release mobile app behavior trends called M.I.C. drops. These help our media buying customers to get ahead of trends and know how to buy more effectively based on what people are going to be spending time doing. The March M.I.C. drop stats are in and it’s sunny with a chance of 2 in 3 teens working this summer. This summer polls 55% of teens working and earning over $1K. We’ve collected the data, now you can make accurate predictions on what they’ll be spending that money on and when. See for yourself how best to reach a teen audience this summer! We’ve been working with the app store’s most popular free fitness app for a while now: Sweatcoin. Here’s our case study with how we worked with them to monetize and engage their most active users. Here’s another case study about a lifestyle app that’s all about beauty and selfies. You wouldn’t believe how many people love this app. This entry was posted in Uncategorized and tagged 360 Magazine, app, application, approach, audience, Austin, Australia, Austria, blog, blogger, Boston, Brian Wong, Business, busy, California, campaign, Canada, Cape Town, Chicago, China, commercial, communication, consumer, content, creativity, culture, culture magazine, customers, Dallas, data, develop, edgy fashion magazine, effectiveness, engagement, enhance, Facebook, feff, Global Society, grow, influencer, Inspiration, INSTAGRAM, international, Jakarta, Japan, Johanessburg, Kiip, launch, leadership, lifestyle, LiveRamp Data Store, London, Los Angeles, M.I.C. drops, Madness, market, marketer, marketing, media, Melbourne, Miami, Milan, Mobile, monetize, Nashville, Netherlands, New York, office, Paris, Philadelphia, polls, pop culture, possibilities, predictions, PressforProgress, progress, Salt Lake City, San Diego, San Francisco, Santa Monica, Seattle, social media, Southern California, strategy, Success, Support, survey, Sweatcoin, Sweden, Switzerland, Sydney, tech, technology, Texas, trends, Twitter, UK, USA, user, Vaughn Lowery, Washington D.C., work, workforce, worldwide, Zurich on April 17, 2018 by wp360mag.